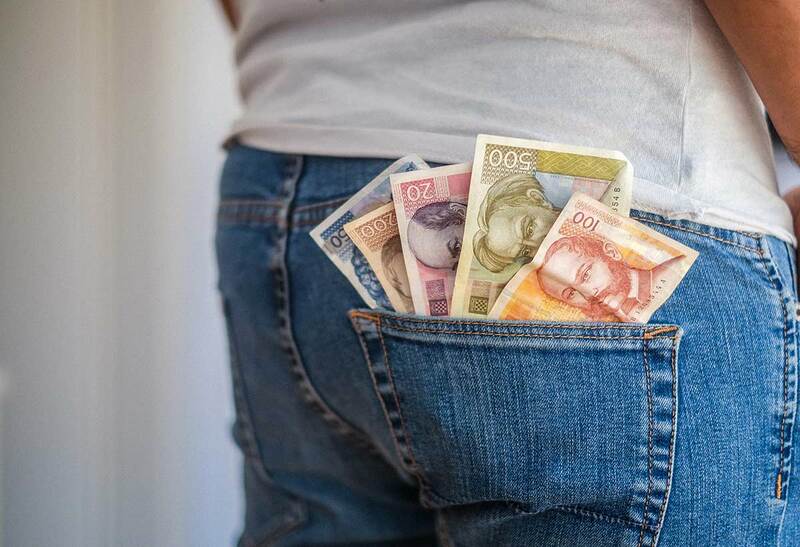 Croatia is proud of its cultural quirks and Croatian currency is no exception. Croatian money is called Kuna (Kn) which in Croatian means pine marten. Don’t worry. These days we don’t walk around with weasel-like pets, but we do like to keep things historic. And symbolic. In the past, pine marten’s fur was used for trading. Being a pretty stable currency back then, I guess the hope is that our paper Croatian Kuna continues to perform just as well. 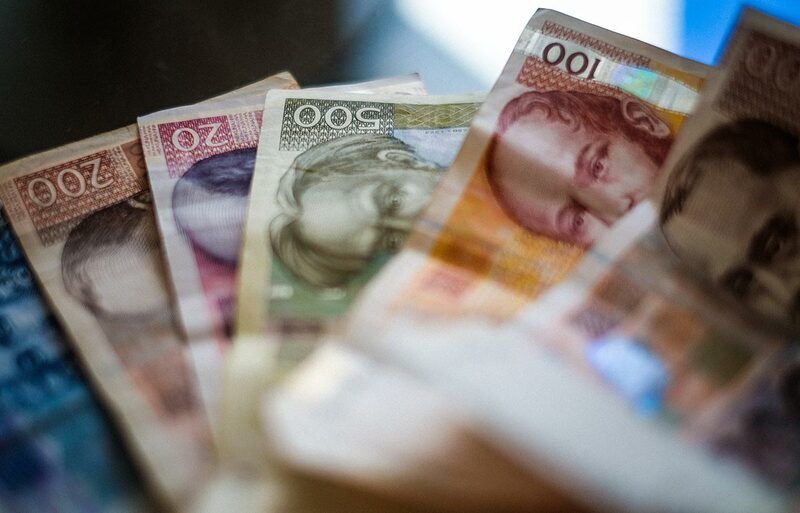 To get your head around currency in Croatia, you first need some basic facts. Like how much it’s worth against other money, what it looks like and where to get it. Later, we’ll dive into more curious, behind-the-scene tales. #1 First, use this currency calculator to find out the exchange rates: Euro to Kuna, US Dollar to Kuna and British Pound to Kuna. For all other currencies, use the last row in the widget. #2 Majority of travellers in Croatia will bring Euro, US Dollar and GB Pound. But you can exchange any foreign currency in a local bank or exchange office. The easiest way to get Kuna is to use an ATM (cash card machine). They are everywhere, even on small islands. 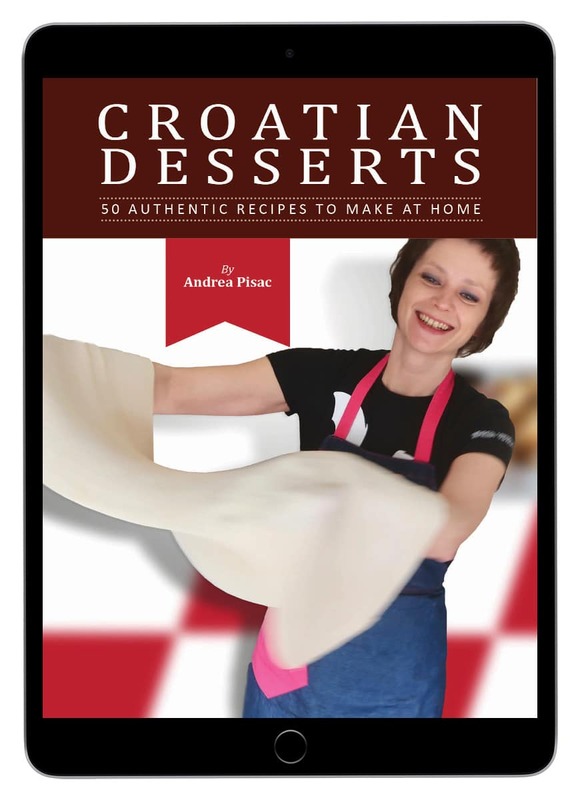 And the best part is you don’t need to struggle with directions in Croatian. They all ‘speak’ English. #3 Our pet Kuna comes in 8 sizes, aka paper denominations. We have 5, 10, 20, 50, 100, 200, 500 and 1000 Kuna notes. ATMs mostly handle 100s and 200s. Smaller banknotes (10s, 20s, 50s) pass through the hands most frequently, which you can notice by their crumpled look and feel. Producing a 500 or a 1000 Kn banknote has the same effect as waving with £50 in the UK. ‘Are you filthy rich’ or ‘have you just robbed a bank’ kind of reaction. Of course, sometimes you just can’t help giving the wrong impression! #4 The little Kuna is not always paper thin. There’s a weightier, though not worthier, side to it: the coin. Look for 1, 2 and 5 Kn coins, always in silver colour. You can’t buy much with them, but they are worth keeping for other reasons which I’ll explain later. #5 Just like fur is made of hairs, 1 Kuna is made of 100 Lipa (Lp). The word lipa means linden tree in Croatian. There is no official explanation of the Lipa symbolism. But I guess it refers to the plentiful of tiny flowers that the tree produces. Lipa has its own coin denominations: 1, 2, 5, 10, 20 and 50. All are silver colour, except 5 and 10 Lipa which are golden. #6 Being officially part of the EU might still make you wonder what is the currency in Croatia. No, Euros are not officially accepted. I say officially because there are always exceptions to the rule. You may be OK paying in Euros for services like private accommodation. Anyone running a small business will be open to such an informal exchange. Restaurants, shops, hotels won’t. This year Croatia may introduce a new law to allow tourists to pay in Euros for items up to €200. This means you won’t have to buy Croatian Kuna if you only fancy a scoop if ice-cream. I’ll keep you posted about that. And now the fun part. Because there are always weird stories behind money, aren’t there? 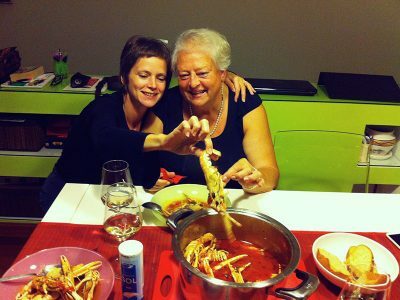 #7 When it comes to the people on the Croatian Kuna, we follow the American example. All are men of power. Statesmen, politicians, dukes… men that made Croatian history. There’s an occasional poet, who made Croatian culture, but even those held a political office. See, there are no women on Croatian money. British pound had the social reformers Elizabeth Fry and Florence Nightingale and will soon display the writer Jane Austin. Croatia may be too small a country for such a big feminine step. But on the other hand, it happily celebrates plants and animals on Kuna and Lipa coins. Mind you, plants occupy the lowest rung of value – the meagre Lipa. Animals fare a bit better on the Kuna coins. According to this account, the value of women in Croatia is still invisible. Or, it is so sacred that it cannot be expressed in a banknote! #8 Now with women out of the picture, let’s see what’s going on with men on Croatian banknotes. There seems to be a strange hierarchy established by the primordial masculine feature: facial hair. Watch closely. The longer the man’s beard, the more value a banknote has. It all starts with the beardless Bishop. Then comes the Duke’s simple moustache, the Poet’s friendly mutton chops and the Politician’s goatee. The value then spikes with the narrow full-bearded Poet and finally peaks with the wide Garibaldi style beard on Ante Starčević. #9 Let’s rustle Croatian currency even more. The money faces may have made Croatian history but they also speak of the present moment. Here’s how. Croatian hip-hop band Tram11 has a fantastic song called ‘Croatia’s great men’. It’s not a history textbook but an ironic take on how to get rich in Croatia. If you can’t read between the lines, here’s the gist of it. The closer you are to those who are in (political) power, the better your chances at getting rich. Croatian money is symbolic in more than one way! 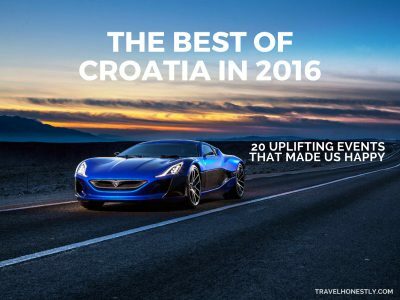 #10 Even if you’re filthy rich, there are things money can’t buy in Croatia. We even have a saying for this: ‘tko to može platit’ [who can pay for this], to which the answer is basically ‘no one’. It’s how we describe exceptional experiences that don’t carry a price tag. 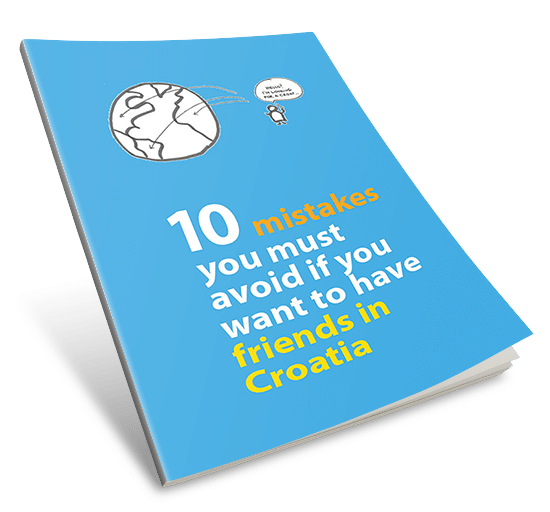 If you have friends in Croatia, many things come for free. Which doesn’t mean they don’t incur a cost. For example, friends will look after your house, cat-sit for you, even fix your teeth if they are a dentist. You repay this with the strongest currency – your time and friendship. If you ever want to live in Croatia, build your social, not financial capital. Or in simpler words – devote yourself to the people around you. Not to the people on banknotes. #11 Euro is another strong currency by which Croats live. We already established that you can’t pay in Euros here. But you’ll often see prices expressed in Euros. This happens because of our past trauma with inflation. Back in the time of Yugoslavia, dinar went through a huge devaluation, even on a daily basis. The only way to keep a sense of what something was worth was to compare it against the German Mark. Keeping money in a sock was the equivalent of a good savings account. It’s hard to kick the old habit. The sock may be gone, but when it comes to large purchases, like cars or property, we think in Euros, not Kuna. But don’t worry. We made it real simple for foreigners to know when it’s time to pay up. Look for this non-verbal gesture. A thumb rubbing against the index and middle finger translates into: ‘gimme money now’. #13 Paying with cash or card is a simple decision you’ll make in a restaurant or a shop. But when a repairman fixes something in your house, they expect ‘solar payment’. Despite the connotation, it’ has nothing to do with ecology. The original expression ‘lovu na sunce’ [money in the sun] was coined to demand payment on the spot. It’s another sign of distrust. Somehow feeling that rustle in your hand here and now is worth more than watching abstract numbers clear in your account. 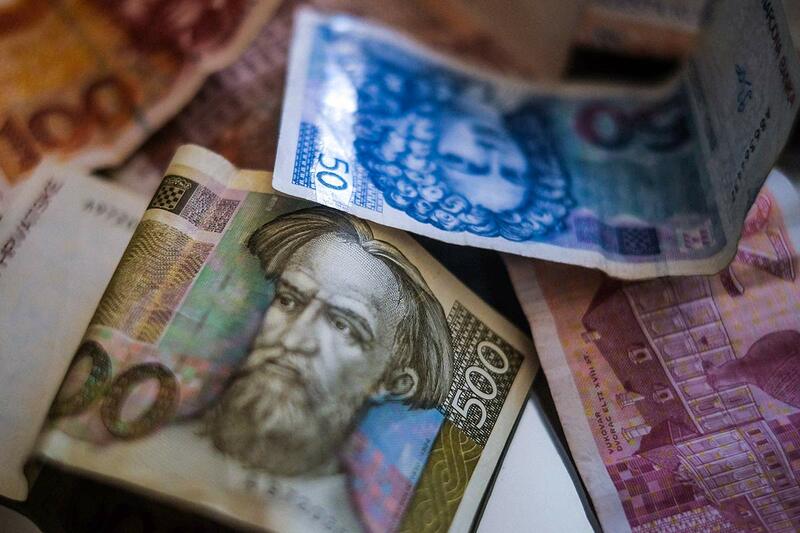 #14 Of course you should know the Kuna exchange rate before travelling to Croatia. But this is only half of the story. What’s more important is what Kuna gets you. You won’t be buying a car while on a holiday here. But you will be frequenting bars and indulging in tasty food. So the real exchange rate is between the cost of your favourite experience here and back home. #15 For many Croats the basic unit of cost is coffee. It’s a simple drink that greases all our social interactions. So when we travel abroad where a cup costs nearly £3/€4, we get outraged. You, on the other hand, you may be thinking in terms of beer pints or glasses of wine. I often get asked by the Brits: is Croatia is expensive. 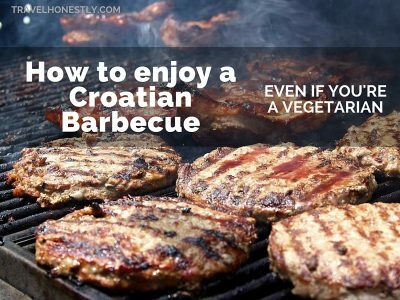 Or is Croatia cheap to eat out. But they never formulate the question in these terms. Instead they ask how many Kuna for a beer. So here’s the infographic to help you gauge the real value of Kuna. 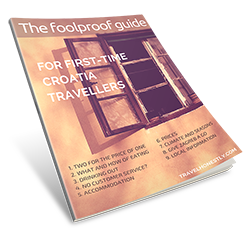 #16 Keep in mind that prices vary across Croatia. 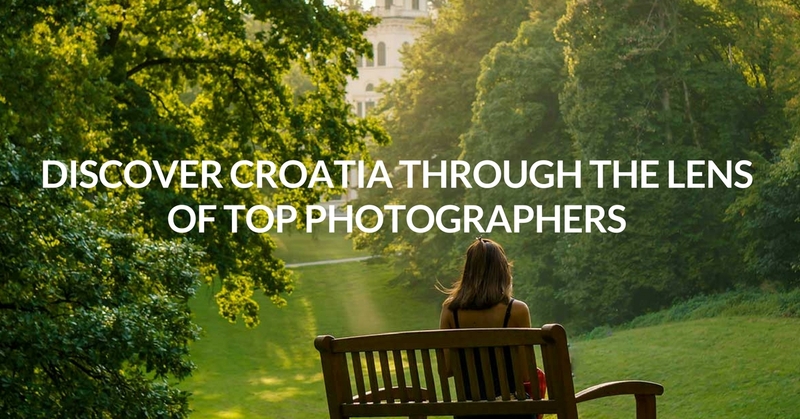 You get more for the same amount of Croatian money in Zagreb than in trendy places on the coast, like Dubrovnik or Hvar. 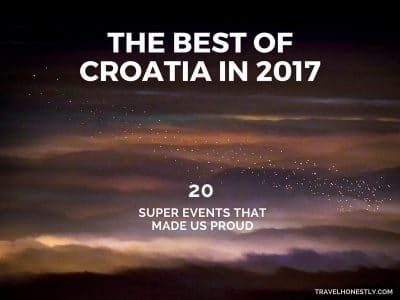 But if you venture out to smaller towns in continental Croatia, you’ll be pleasantly surprised by how further Kuna goes than in Zagreb. #17 Let’s wrap up by jingling some coins. Why keep them if they have such little value? A 5 Kn coin is fondly called medo [little bear] because its tail displays Croatia’s largest beast. But regardless of its size, it cannot buy you much. Maybe an hour’s worth of public parking. A handful of smaller coins is good enough for coffee or a pastry. But there’s a better reason to keep hold of them. When you’re buying something in a shop and hand over a large note, a cashier will ask you for change. Let’s say your bill is 103 Kn and you give a 200 Kn note. If you add those 3 Kn in coins, you’ll make the cashier’s life easier. Watch their face lit up with gratitude. With your help, they only need to give you a 100 Kn note back. No currency calculator can convert that value. The value of a big help in a small coin. Now if you got intrigued by all those famous people on Croatian banknotes, take a step further. <<–– Super quiz: which famous Croatian person are you? Where to go in Croatia? Great stuff. Well done! next we should see more details about public transport between cities and places like Zagreb to Plitvice or to Dubrovnik and cost. Hotels ( I usualy stay in Espaland when in Zagreb) or hotel Argentina when in Dubrovnik but now you got more hotels and private apartments’. My favourite restaurant in Zagreb was Vinodol but don’t hear much about lately. Will be visiting soon. Shame about the absence of women. Was taken by the memorial to anti-fascists in Pula so it is not as if the country – a great place, by the way- does not have women it could celebrate? Many countries have plenty of women worth celebrating but they don’t… there’s something about men on banknotes! Maybe beacuse Lipa is a sacred tree of Slavic people and Kuna was Croatian money for a very very long time before independance? Oh, yes. Linden tree is indeed a sacred tree for the Slavs. Thanks for sharing, Pam! Good stuff, as always…thanks, Andrea! I’m from Argentina, and will visit your Country next September. Your notes are very nice, easy to read also for not english people. Thanks for it. I love to know these small details on daily things when travelling. From your comments, I found some tips and tricks similar to some found here. I’ll continue reading you till our trip there. Thanks, again. I found this post from a Google search for currency in Croatia. I’m happy to have found your blog because I’ll be in Croatia for three months this spring. I’m going to read much more of your blog–it looks very useful. Thank you for publishing it. I hope it’s true that I can develop warm relationships with Croatian people. 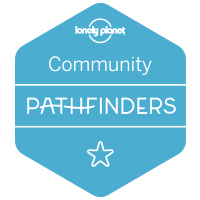 As a full-time traveler it’s always the people who make the experience! Can you still exchange Dinar for Kuna? Nope, this was possible only until the end of 1991. I enjoyed your currency blog immensely. I am thinking of visiting Croatia about O to er so will be looking for more of the .